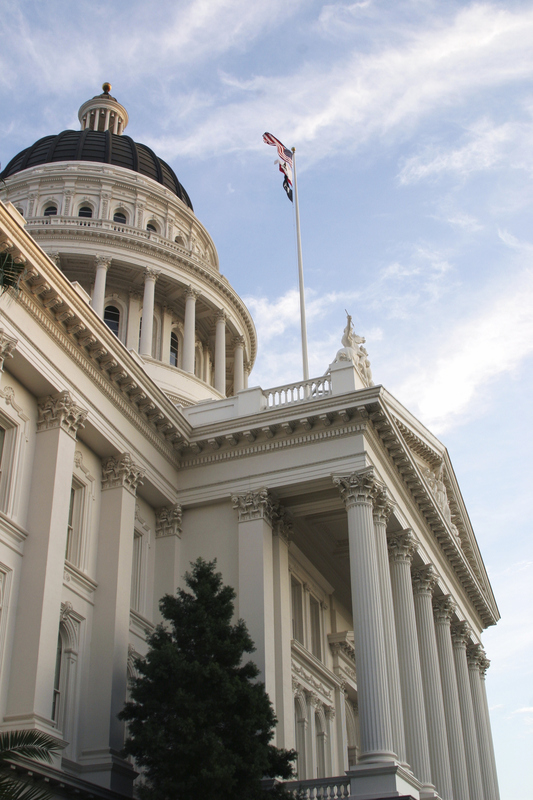 CSLB is monitoring several legislative bills that would affect contractors. The following list is not all-inclusive, but represents bills that CSLB either is sponsoring or believes will have the greatest impact on the contracting industry if they become law. Click here to get updates and amendments on any legislation. This bill, sponsored by CSLB and introduced by Sen. Ted Lieu, D-Torrance, would amend Business and Professions Code (BPC) section (§) 7027.2, BPC § 7110.5, BPC § 7028, and BPC § 7011.4. Authorize a person who is not licensed as a contractor to advertise for construction work or a work of improvement only if the aggregate contract price is less than $500 and the person states in the advertisement that he or she is not licensed. Authorize CSLB Enforcement Representatives (ERs) to issue written notices to appear in court. In addition, these ERs would have access to construction-related places of labor. Clarify that an individual contracting with a suspended license for an outstanding tax or civil liability is subject to the same disciplinary action as an individual contracting without a license. Provide CSLB with additional time to pursue disciplinary action against a licensed contractor as a result of a referral from the Labor Commissioner for a Labor Code violation. This bill would revise the definition of "construction" to include post-construction phases and cleanup work at the job site; and expand the definition of "public works" regarding the payment of prevailing wages to include any task relating to the collecting or sorting of refuse or recyclable metals, such as copper, steel, and aluminum performed at a public works job site. This bill would provide that an individual who has satisfied requirements needed to obtain a license while incarcerated, applies for that license upon release from incarceration, and is otherwise eligible for the license shall not be subject to a delay in processing or a denial of the license solely on the basis that some or all of the licensure requirements were completed while the individual was incarcerated. This bill would allow retention proceeds withheld from any payment by an awarding entity to prime contractors or subcontractors to exceed a specified percentage on projects that are more "substantially complex" than those involving routine or regular work. It also would require that the bid documents include details that explain the basis for the "complex" finding, and list the actual retention amount. This bill involves civil wages and penalty assessments by the Labor Commissioner for violating laws regulating public works contracts, including the payment of prevailing wages. It specifies that a contractor, subcontractor, or surety may deposit the full amount of the assessment or notice with the Department of Industrial Relations in the form of cash or a bond issued by a surety company admitted to do business in the state in a form acceptable to the department. This bill would amend existing law that requires a contractor to whom a contract is awarded and who employs journeymen or apprentices, to contribute to the State Apprenticeship Council the same amount determined to be the prevailing amount of apprenticeship training contributions in the area of the public works site. This bill would have an impact on the award of certain grants in cases where two or more approved multi-employer apprenticeship programs serve the same craft or trade, in an attempt to make the distribution of grants more equitable. This bill would amend existing law that requires the State Energy Resources Conservation and Development Commission to prescribe building design and construction standards, and energy and water conservation design standards for new buildings. It would require the State Energy Resources Conservation and Development Commission to implement methods to simplify procedures related to compliance, and establish an incentive program for contractors and local governments to improve the verification of building code compliance. This bill relates to public works and the prevailing wage by authorizing a contractor to bring an action to recover from the party it directly contracts with any increased costs, including labor costs, penalties, and legal fees incurred as a result of any decision by the Department of Industrial Relations, the Labor and Workforce Development Agency, or a court that classifies the work covered by the project is a public work. This bill would prohibit a vocational or professional licensing board under the Department of Consumer Affairs from denying a license based solely on a conviction that has been dismissed pursuant to certain provisions of existing law. This bill would require the professional and vocational licensing boards within the Department of Consumer Affairs to require an applicant other than a partnership to provide either a federal tax identification number or a Social Security number if one has been issued to an applicant. It would require the individuals to report to the Franchise Tax Board, and subject a licensee to a penalty for failure to provide that information.